Home » Posts » Lean Manufacturing » What Is Cellular Manufacturing? Cellular manufacturing is a concept closely related to lean manufacturing, and sharing many of the same ideas. However, it approaches the production process in a more systematic, broken-down manner, attempting to deconstruct the product into pieces that can be produced discretely in a sequence. It’s a popular concept in many factories striving for fast output nowadays, and it can easily be employed on small scales and larger ones alike. There are various commonly used designs that can be appropriate in different circumstances, and they mostly determine the shape of the manufacturing chain. The key benefit of a properly designed cell is that it reduces floor space, reduces delays and hand-offs within the value stream, and improves communication between process steps. Implementing cellular manufacturing begins by splitting the production process down into sensible steps. Note that this does not mean breaking it down into the most fundamental, basic steps, but rather to organize the various steps into sensible groups according to the complexity of the tasks involved, and the need for communication between separate units. For example, in a situation where you’re manufacturing a product that’s comprised of five major sub components provided by suppliers, you might have one dedicated assembly unit to put all 5 components together. If there are 10 process steps required to complete this assembly, all 10 steps should be co-located into one cell, so everyone can see the entire value stream, and hand-offs between steps is minimized. If the sub components are not supplied, but manufactured within the facility, they might be incorporated into the cell, or they could be assigned to their own cell. It depends how much of the sub component is used in other cells within the facility. If it only goes to the one final product, then it should be included in the cell. Choosing the right layout is just as important as splitting the cells correctly in the first place. There are multiple different commonly used layouts to choose from, and with some creativity, you may even be able to come up with your own. The important thing is that you weigh the benefits and disadvantages of each common layout according to your own situation. Straight line: this is the most basic type of layout, and it’s useful when your process can be broken down into a long chain of processes that each feed the next one. If you don’t have any complex multi-cell interactions, and you don’t care about the total length of the production line, the simplest solution might work best for you. U-shaped: as the name implies, this is a straight line that eventually does a 180-degree turn and runs back to its starting point. 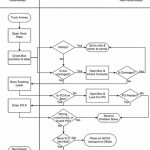 In reality, this is often useful when you have one department responsible for both shipping and handling, as using a U-flow layout allows you to make the most out of that situation. Serpentine: a zig-zag-like pattern that combines the straight line and U-flow designs somewhat. It can be extended indefinitely, and is great when you have multiple points where one cell needs to communicate with several nearby cells. It’s important to think about proper supervision in this case, as even though the design is relatively simple, communication can quickly grow complex. Circular: a more extreme version of the U-flow design, this completely combines the starting and ending point instead of just bringing them on the same axis. One benefit of this design is that it can easily grow in both directions, sideways and downwards/upwards. Remember to regularly revise the design of your cellular manufacturing plant, and think about alternatives that can improve the production flow. 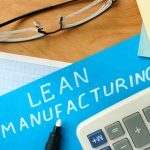 After all, one of the core concepts of lean manufacturing is constant improvement, and cellular manufacturing is no exception. In addition, the skills of your employees can change dramatically over time. In a positive way, cross training will allow them to take on more work. 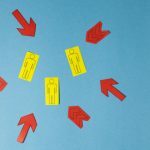 On the negative side, you might be replacing experienced employees, and less can be done by each employee. The shape will need to change to reflect the current experience level. This applies even if your product doesn’t change significantly over its lifetime. 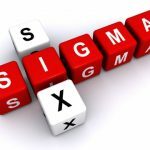 You may still eventually discover points for potential improvement, especially if you’ve gained some experience over time. And on the other hand, if you started out with relatively little experience, it’s very likely that you’ll find things you did wrong later on and would want to improve them. Cellular manufacturing is a natural result of the desire to think analytically and break down processes into simple components that can be easily analyzed, exchanged and reorganized. If you apply it correctly, you’ll not only achieve an improved production flow and output numbers, but you’ll make your production facilities more modular and open to future expansion. 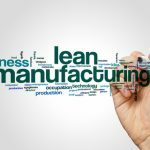 This is another important – if not critical – factor of lean manufacturing, and it shouldn’t take you long to see the multiple points where the two areas touch.